Energy consumption in buildings in Mediterranean and continental climates as well in summer and winter is growing excessively. The implementation of energy efficiency criteria is necessary to reduce energy demands and to improve the comfort conditions in buildings and their influence on cities and urban environments. The perspectives for this field are very promising according with the previsions of the World Economic Outlook (WEO) of the IEA, and are also included in the UE Horizon 2020 Program, in the Strategic Energy Technology Plan. In the Spanish context, the CIEMAT’s R&D Unit on Energy Efficiency in Buildings has been playing during last years a very important role, in close collaborations with public and private sectors, giving scientific and technological support for the implementation of these practices in the society. According to the Institute for Energy Saving and Efficiency (IDAE) in Spain there are almost 2 million buildings that will need energy rehabilitation in a short term, that will contribute to the recovery of this economic sector and to the reduction of the energy demands in buildings. The participation of users as important agents to raise public awareness of energy rehabilitation in buildings is the target of initiatives like @ProyectoPrende and @tucasaes+, where information campaigns addressed to the citizens are carried out. 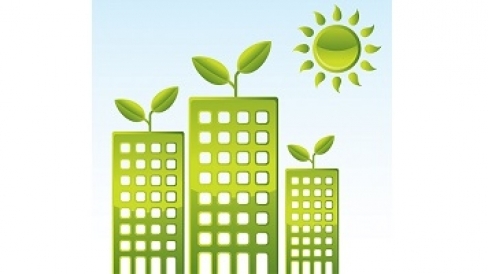 The Spanish Ministry of Development has launched different Official Regulations to promote this activity, as the State Plan for “Development of Energy Buildings Rehabilitation, and Urban Regeneration and Renovation, 2013-2016” (BOE-A-2013-3780) that will be managed by the Regional Administrations, where financial support is given for energy buildings rehabilitation. Also the Royal Decree-Law 8/2014 containing the “Approval of urgent actions for growth, competitiveness and efficiency” in energy buildings sector.